The South Adriatic Coastline is arguably one of the most beautiful coastlines in the Mediterranean. 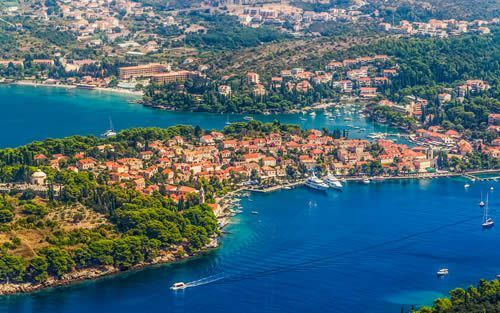 This coach tour will take you on a journey of discovery along the Adriatic coast to explore some of Croatia’s most famous cities and landmarks. 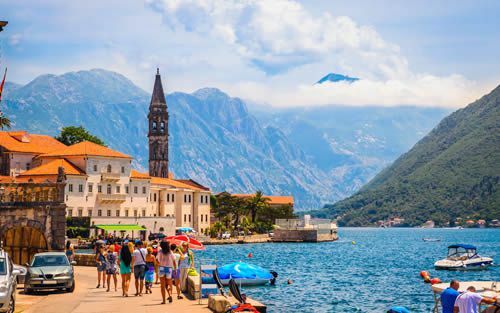 The tour starts and ends in Dubrovnik and in the 7 day interim you will visit Montenegro to set your eyes on one of the most beautiful bays in the world, the Bay of Kotor. 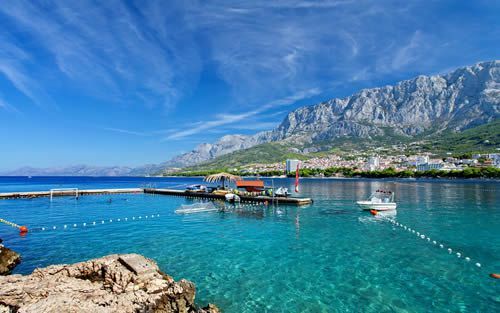 The Makarska Riviera, Split and Trogir will be your next stops with highlights including a walking tour of Split and Korčula as well as an optional excursion to the Krka National Park. 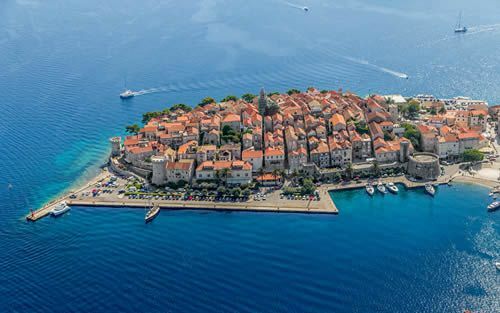 This is an ideal tour to discover Croatia’s most famous stretch of coastline. 4-Star hotels will be as specified above or alternatives of a similar standard. 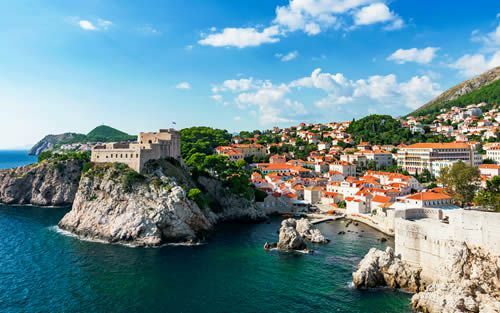 Extend your tour with a stay in Dubrovnik. 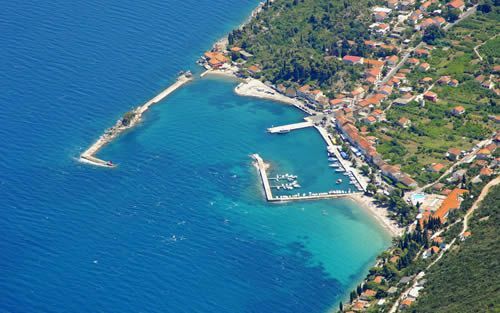 Alternatively you can visit other islands in the Adriatic. Our Lady of theRocs, Cathedral of St. Domnius, Cathedral of St. Lawrence, Turkish house and Mosque. Transfer to your hotel in Dubrovnik. Free Time. Dinner & overnight in Dubrovnik. 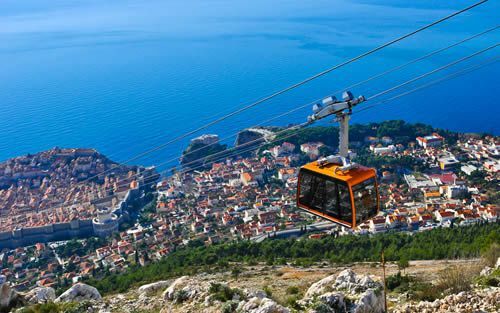 Morning visit to the Pile Gate where you will join the excursion Explore Dubrovnik by Cable Car situated in the vicinity of the Old Town of Dubrovnik to enjoy panoramic views of Dubrovnik from the surrounding Srd hill. 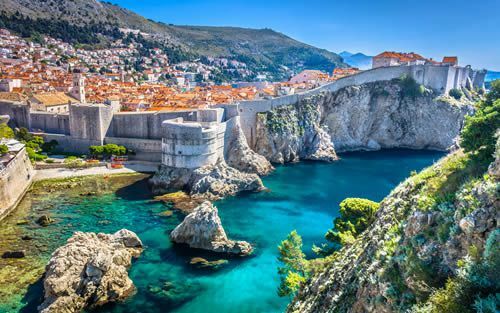 Then take a walking tour of the Old Town of Dubrovnik where you will be awed by the labyrinth of short, narrow stone streets, the market place, palaces, towers, monasteries and houses, each of which is over 300 years old. Early afternoon return transfer to your hotel. Dinner and overnight in Dubrovnik. 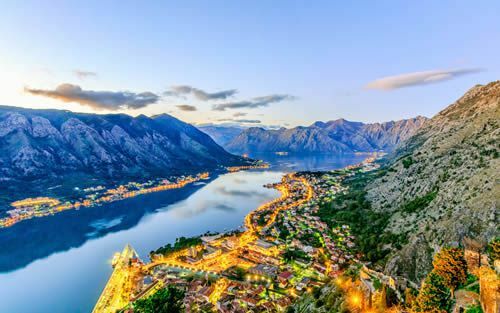 Cross the border to Montenegro where mild beaches, clear waters and gorgeous mountains will greet you upon your arrival to the Gulf of Kotor. Visit the baroque shore town of Perast and take a short boat ride from town to one of the two islets in the Bay to visit the Church of Our Lady of the Rocks which houses one of the finest collections of wall paintings in this part of Europe. In the UNESCO protected town of Kotor enjoy a guided tour through one of the best preserved medieval walled cities on the Adriatic. Free time in Kotor. Return to Dubrovnik for dinner and overnight stay. 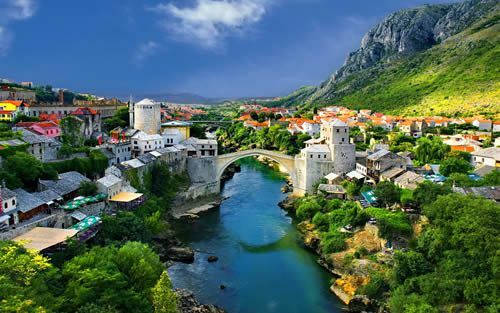 Morning departure to Mostar, a city of stone and sleepy, narrow winding streets. Experience sights such as the Old Bazaar, the Turkish House and one of the many old Mosques. After the guided tour of the town enjoy some free time for strolling around and browsing among the many old craft shops or maybe have lunch in one of the picturesque local restaurants. Dinner and overnight in Makarska Riviera. 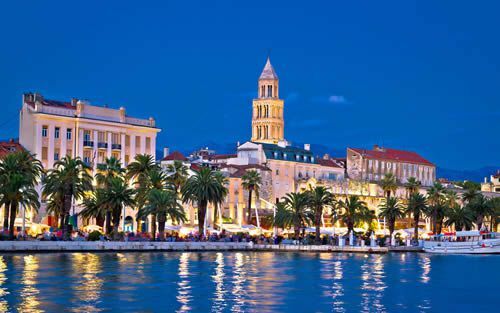 Walking tour of Split walking through the 4th-century Diocletian's Palace to visit its ancient Cellars, Peristyle, Roman temples (today Christian ones), Cathedral and Baptistery, and then the famous Golden Gate. Then enjoy free time for individual exploring. 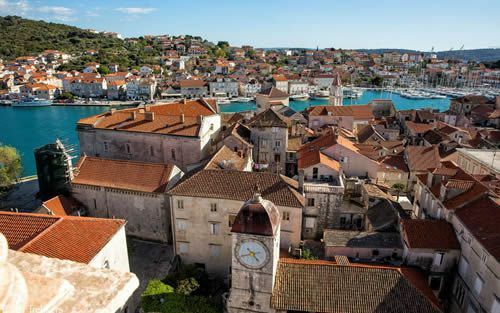 Bus ride towards Trogir, a small town under the cultural protection of the UNESCO. There stands the Cathedral with its famous portal by the well-known local master Radovan, the City Loggia from the 15th century, the Cipiko palace, the town Hall, and the Benedictine monastery from the year 1064, where a Greek relief is kept representing Kairos (the God of auspicious moment). Dinner and overnight at Makarska Riviera. 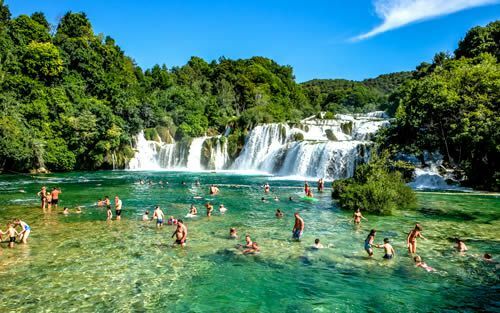 Day of leisure with optional excursions to Krka National Park and Šibenik. Dinner and overnight at Makarska riviera. Morning departure for Ploče where you will take ferry to Trpanj on Pelješac peninsula and then take a short boat ride to town of Korčula, followed by walking tour of town of Korčula. On the return journey take a short stop in small town of Ston, before late afternoon arrival to your hotel for dinner. Overnight Dubrovnik area. 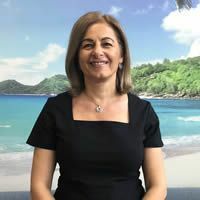 Transfer to either Dubrovnik airport, port or hotel in Dubrovnik.